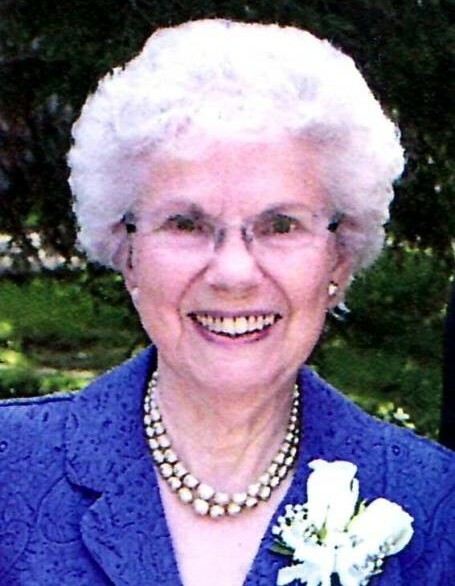 Doris Lily “Dee” Hamilton, age 90, of Kendallville, died Sunday, March 17, 2019 at Presence Sacred Heart Home in Avilla. Mrs. Hamilton was born on June 17, 1928 in LaCrosse, Wisconsin to George and Hazel (Ayers) Streeton. She graduated from Bangor High School in Wisconsin in 1946 and San Jose State University in 1951. She was married to Richard Phillip Hamilton on August 6, 1948 in Bangor, Wisconsin and he preceded her in death on October 29, 1999. Dee was a homemaker and member of First Baptist Church (now Cornerstone Fellowship Church) and Gideons International, Noble County Camp. Son, David and Mona Hamilton of Kendallville. Son, Bruce and Jill Hamilton of Angola. Son, Mark and Stacy Hamilton of LaOtto. 8 grandchildren including: Elizabeth Hamilton of Indianapolis; Jennifer and Shane Wilkinson of Bloomington, Indiana; April and Jared Hoff of Angola; Lisa and Zach Bell of Indianapolis; Carmen and Tyler Hamilton-Connolly of Fort Wayne; Cathy Hamilton of Lebanon, Tennessee; Cadence Hamilton and Calvin Hamilton both of LaOtto. 5 great grandchildren including: Lily Hoff, Josiah Hamilton, Brielle Wilkinson, Violet Bell and Colten Wilkinson. Brother, Robert Streeton of Sparta, Wisconsin. Brother, Gene Streeton of Bangor, Wisconsin. She was also preceded in death by a son, Michael Hamilton in 2003; and brothers, George Streeton and Harold Streeton. Funeral services will be held Friday, March 22, 2019 at 3:00 PM at Hite Funeral Home in Kendallville with visitation prior to the service from 1:00 – 3:00 PM. Burial will take place at Lake View Cemetery, Kendallville. Memorial donations may be made to Cornerstone Fellowship Church or Gideon International, Noble County Camp.